Most of us have probably used email more than a handful of times to remind ourselves to do something, or as a shopping list of sorts. I recently discovered a way to help me be more organized with my emails and tasks using Gmail. It is quick and easy to do. I will show you how to get important emails and tasks at the top of Gmail, so you will always see (and never forget) the most pressing things in your inbox. 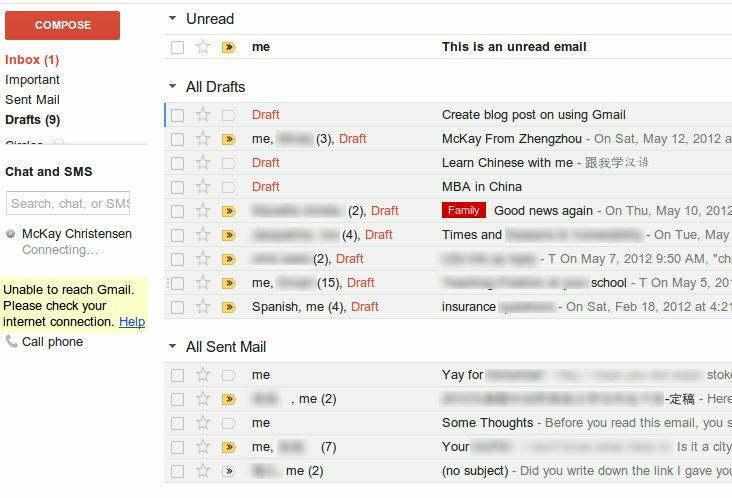 What I will be doing is explaining how to create a task, or to-do list and have it show up in the top of Gmail. 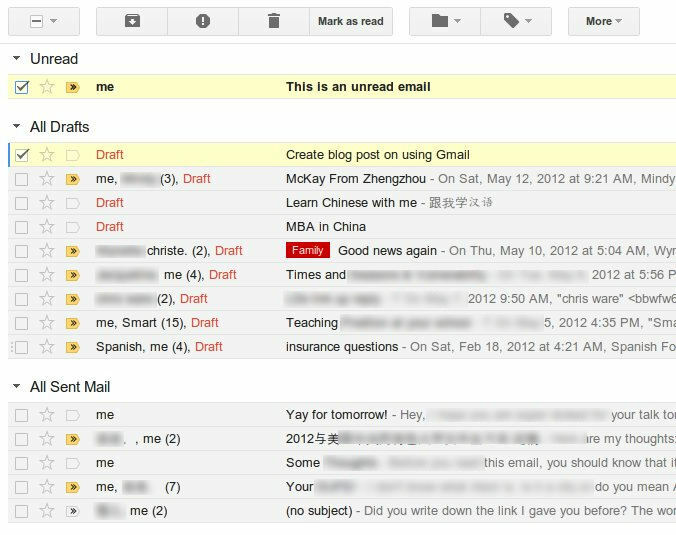 I will also show how to put important emails (or emails you need to reply to) and the top of your inbox. The first thing we will do is compose a new message. This is in essence creating a new task (in this instance a new task could very likely be to send someone an email. Often, I need to send someone an email but don't have time right away to do so; so I create a draft). 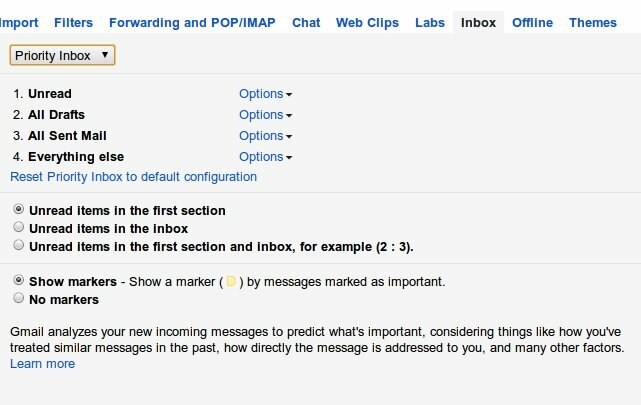 Once we have the compose message window opened, we will add our task in the subject line (something like "Create a new blog post about using Gmail"). If you needed to, I suppose you could easily add more info in the body of the message. Once this is done, we can manually (or wait for Google to automatically) save the message as a draft. Great! 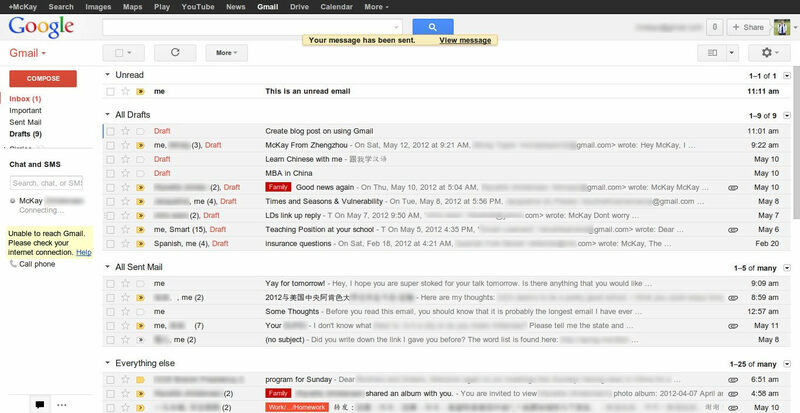 Now we have a task... now we need to configure Gmail to get it to show up on the top of our inbox. In the top right hand corner of the screen, we will click on the icon that looks like gears. Then go to "settings." 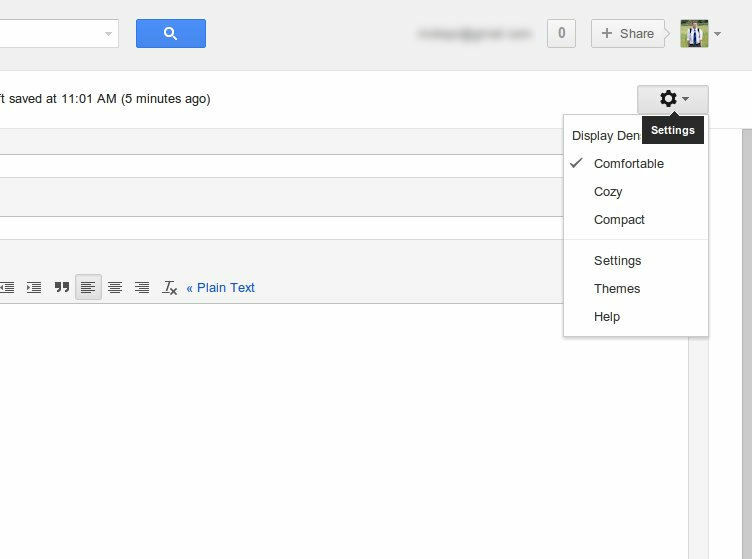 Once we are in the Settings page, we will go to the "inbox" tab. Here is where the magic happens. On the top for Inbox type we will want to make sure it is set to "Priority Inbox." With that selected we can choose what will show up on top. I chose to have my unread emails show up first followed by my drafts, then sent mail (so I can easily access my most recent communications). 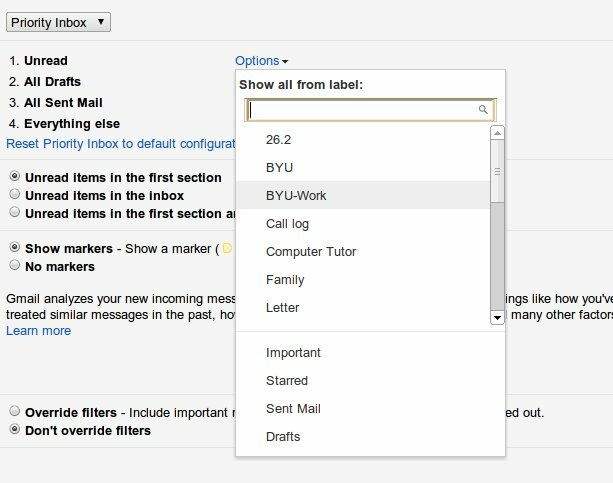 You can select how many items you want to show up in each inbox. You can also choose specific labels, which would give you a lot more freedom in complex configurations if you choose. 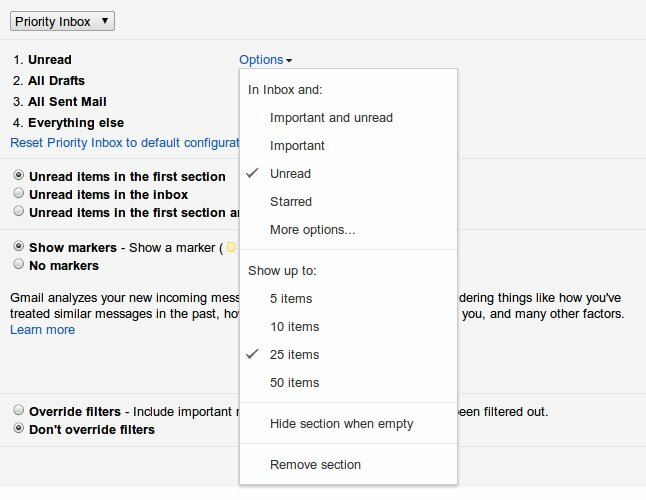 You can see with my example below that my unread emails are first (I like to have a clean inbox, but for those of you who leave hundreds of unread emails in your inbox, you may want to put drafts on top). With my drafts on top, I now never forget to send out an email or forget any tasks. Here is a better look at my inbox. Accessing drafts is now very organized and super easy. If you use drafts as tasks, you can easily batch delete just using the normal check box and delete icon. Have any other great uses for Gmail? Share your thoughts! 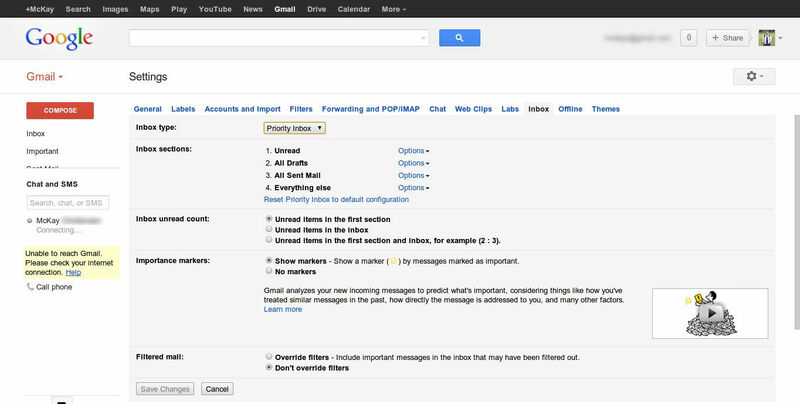 I read your post on using Gmail as a to do list, for tasks etc, and found it a very user friendly approach. b) maintain a clean inbox. Your first question: "How to get from my 10,000 messages to a clean inbox as a one off clean house exercise." 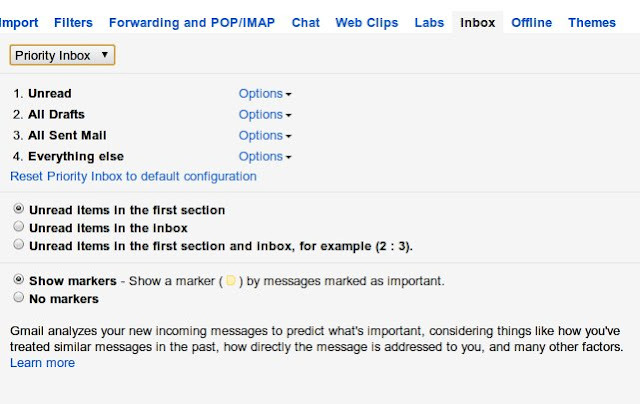 Do you mean that you have 10,000 unread messages, or just 10,000 messages in your inbox? One thing I should note is that I do not archive my mail. I have everything show up in my inbox (about the same as you. Just over 11,000 messages). Only 25 unread messages for me show up. This is non intrusive mainly because I read them as I get them. If it is not important, I just leave it be, and it will show up at the bottom of my inbox. If it is important, I create a draft out of it, and it shows up in the top of my inbox. If the problem is that you have 10,000 unread messages, then I would suggest you start creating filters to get them all read! Probably go through about 10 filters a day (which could likely cover about 100 emails a day). Let me know if you would like to know better how to do this. 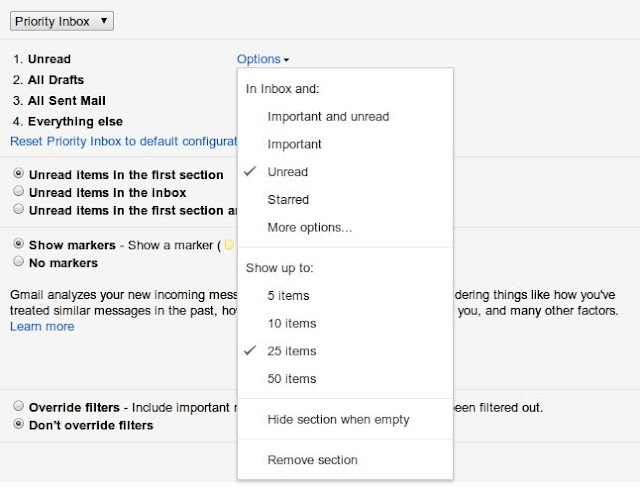 "How to maintain a clean inbox." Email is spam or junk mail that I don't want. For this, I either mark it as spam, or I find a link on the email to unsubscribe. If this is a recurring problem and there is no unsubscribe link, or it does not work, I create a filter to automatically delete or archive the message when I receive it. Email is from real person but requires no action. I open it, read it, then forget about it. If I feel I might need it sometime in the future, I will either star it, or create a label for it. Email is from real person and requires action from me. If it is very important I will respond right away. If it is not very important, I will press the reply button and usually just type a single letter to ensure that it will save as a draft. I spent about 2-3 times a week actually responding to all the drafts I have accumulated (usually no more than 5 or 6). Email is from me to remind me to do something. Again, I will create a draft. This way it will show up in the top of my inbox (as per my tutorial) and I will see it everyday until I take care of it. Thank you for these suggestions! I have found gmail a perfect all-in-one-place solution for GTD! I'm so grateful because I searched every possible tech solution out there :) Would love to exchange more tips with you. Thanks for you comment Heather. I am always looking for ways to be better organized and more productive! Feel free to click this link and contact me if you would like.